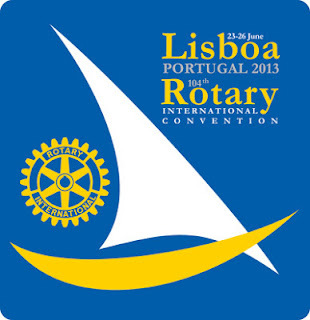 More than 20,000 representatives from 150 countries will be in Lisboa from 23rd to 26th June to participate in the annual Rotary International convention. This will be the first time that the Portuguese capital hosts an event for this service to humanity organisation, and the convention will be the largest of its kind ever held in Portugal. Rotary International members from all around the world will all gather at a single venue, the Pavilhão Atlântico in Parque das Nações, to address the question of how to eradicate poliomyelitis, a potentially fatal disease responsible for paralysis and deformities that is threatening primarily children in Nigeria, Afghanistan and Pakistan. Solving this problem is a priority for Rotary International. "Lisbon – a Harbor for Peace" will be the theme of the convention, and the meeting is expected to inject around 80 million euros into the local economy. VisitPortugal is the official web resource for travel and tourism in Portugal, developed by Turismo de Portugal, I.P., the national tourism authority.